Welcome to Eltham Lodge, one of South East London’s most elegant and historical venues. A Grade I listed building providing a memorable location, welcoming and professional service, and fantastically delicious food for any occasion. Situated in the Royal Borough of Greenwich, Eltham Lodge is a fine example of 17th architecture steeped in history. 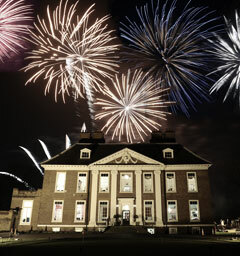 Regarded as one of England's finest houses the Lodge maintains many of its original features and is home to Royal Blackheath Golf Club, considered one of the oldest in the world. 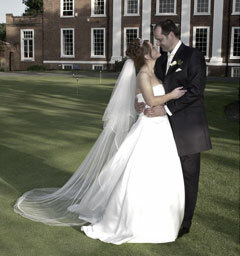 Eltham Lodge is a stunning historical wedding venue. We offer the perfect place to make your wedding reception truly special, whatever the season. 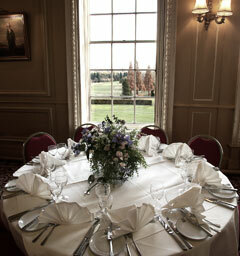 At Eltham Lodge special occasions are given the ‘royal’ touch reflecting our heritage. Whether you are celebrating a birthday, anniversary, retirement or Christmas party, you can do it in style and comfort. Lunches, launches, team building, training or filming, whatever your need, this is your opportunity to escape to a place that will leave you feeling inspired, relaxed and rewarded.